LONDON/NEW YORK/DUBAI (Reuters) - When news emerged that Qatar may have unwittingly helped bail out a New York skyscraper owned by the family of Jared Kushner, Donald Trump's son-in-law, eyebrows were raised in Doha. 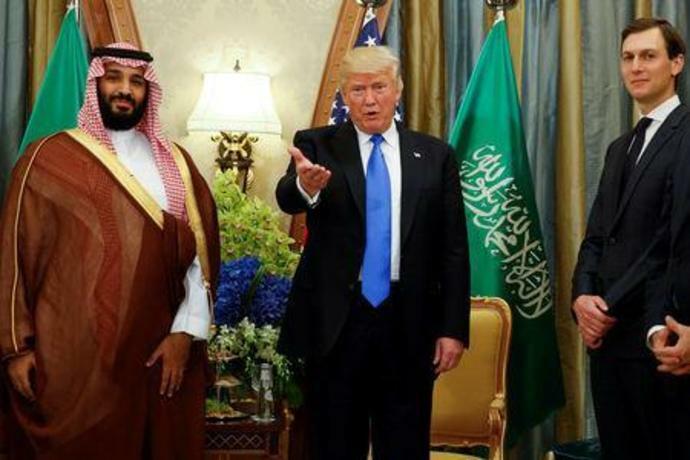 Kushner, a senior White House adviser, was a close ally of Saudi Crown Prince Mohammed bin Salman - a key architect of a regional boycott against Qatar, which Riyadh accuses of sponsoring terrorism. Doha denies the charge. 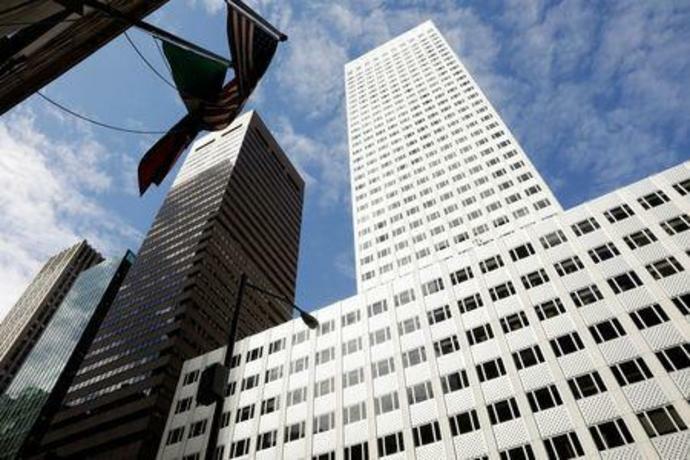 Brookfield, a global property investor in which the Qatari government has placed investments, struck a deal last year that rescued the Kushner Companies' 666 Fifth Avenue tower in Manhattan from financial straits. The country has decided that the Qatar Investment Authority (QIA) will aim to avoid putting money in funds or other investment vehicles it does not have full control over, according to the sources, who are familiar with the QIA's strategy. "Qatar started looking into how its name got involved into the deal and found out it was because of a fund it co-owned," said one of the sources. "So QIA ultimately triggered a strategy revamp." Canada's Brookfield Asset Management Inc bailed out 666 Fifth Avenue via its real estate unit Brookfield Property Partners, in which the QIA acquired a 9 percent stake five years ago. Both parent and unit declined to comment. The QIA's strategic shift was made late last year, according to the sources. It offers a rare insight into the thinking of one of the world's most secretive sovereign wealth funds. The revamp could have significant implications for the global investment scene because the QIA is one of the world's largest state investors, with more than $320 billion under management. The wealth fund has poured money into the West over the past decade, including rescuing British and Swiss banks during the 2008 financial crisis and investing in landmarks like New York's Plaza Hotel and the Savoy Hotel and Harrods store in London. Kushner was chief executive of Kushner Companies when it acquired 666 Fifth Avenue in 2007 for $1.8 billion, a record at the time for a Manhattan office building. It has been a drag on his family's real estate company ever since. The rescue rankled with Doha, according to the two sources familiar with the QIA's strategy, because Kushner - married to U.S. President Trump's daughter Ivanka - had long been one of the key supporters in Washington of the Saudi crown prince, who is the king's favorite son and heir to the throne. "There is no upside in investing through funds for someone like QIA. Qatar wants full visibility into where its money goes," said the second source familiar with the QIA's strategy. The source close to Brookfield said relations with QIA were still strong. The QIA's strategic revamp also followed a reshuffle at the top of the fund last November when its long-serving chief, Sheikh Abdullah bin Mohamed bin Saud al-Thani, was replaced by its former head of risk management, Mansour Ibrahim al-Mahmoud. Foreign Minister Sheikh Mohammed bin Abdulrahman Al Thani was named QIA chairman. Qatar, whose wealth comes from the world's largest exports of liquefied gas, does not provide data on how much money it places with external fund managers. "What we have seen lately is that it has have not been placing much," said a Western fund manager who regularly sources money from wealth funds. "Either they are investing themselves or they are just sitting on a lot of cash." In December, new QIA chief Mahmoud told Reuters the fund was focusing on "classic" investments in the West such as real estate and financial institutions, and would also accelerate investment in technology and healthcare. "The instructions from the top are to go out and do big deals," said a Western banker who has held talks with Qatari officials. He said QIA's dealmaking had not stopped even during the height of the Gulf embargo, which initially forced the fund to put in about half of the $43 billion injected by public-sector firms into Qatari banks to mitigate the impact of outflows. With oil and gas prices growing over the past two years, Qatar has not departed from what it is best known for - snapping up big-names properties. In recent months, Qatar has bought New York's Plaza and London's Grosvenor House hotels.